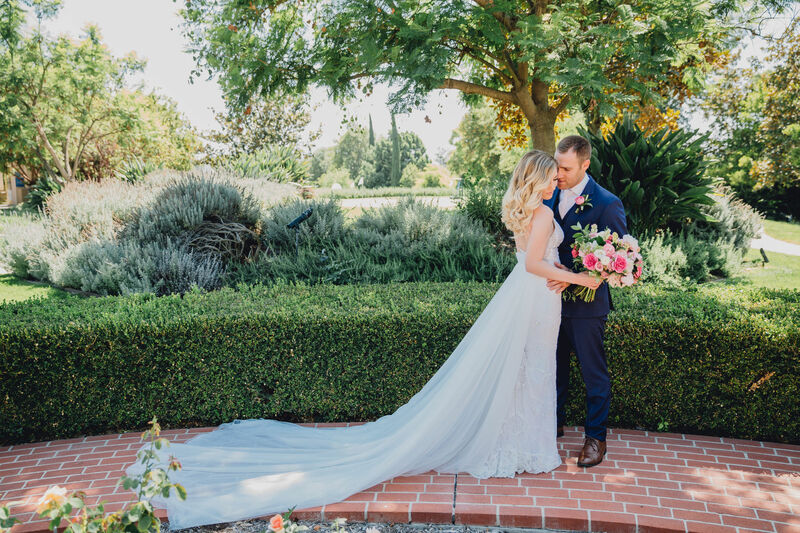 Take a moment to think about your perfect Wedding Day. What comes to mind? 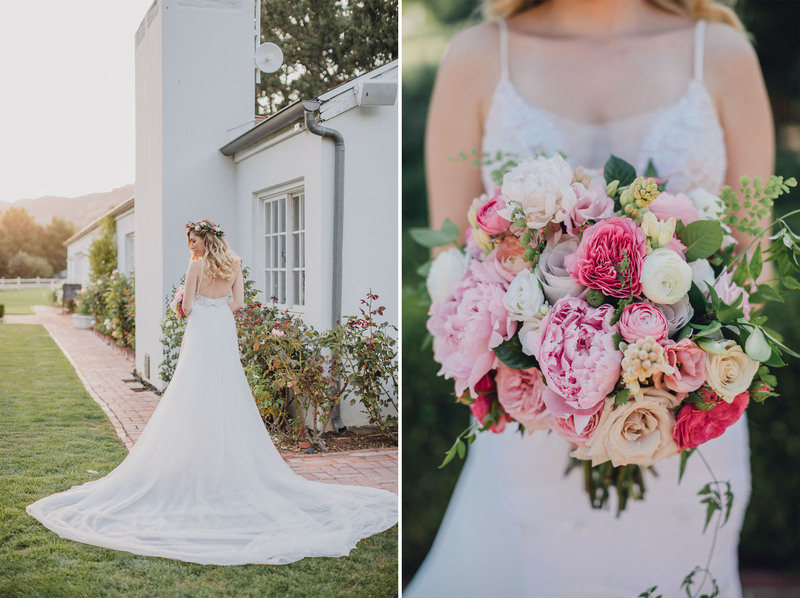 Perhaps, a bride in an elegant white wedding dress? 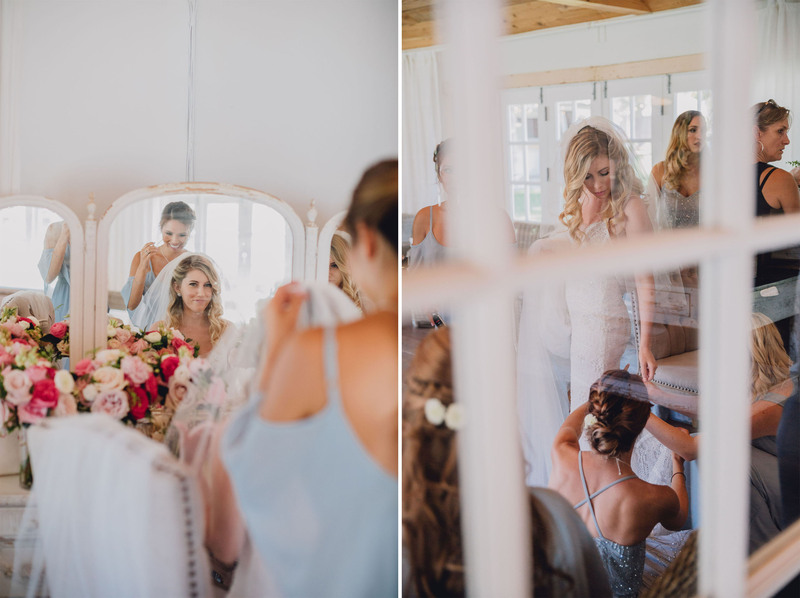 A traditional wedding ceremony that brings tears to the eyes of your closest family and friends? 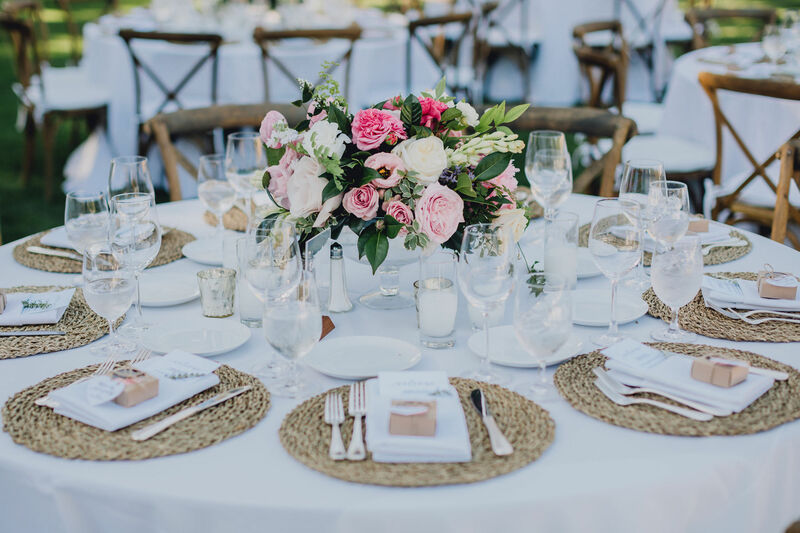 Wedding Reception with breathtaking views? Maybe, some delicate florals? 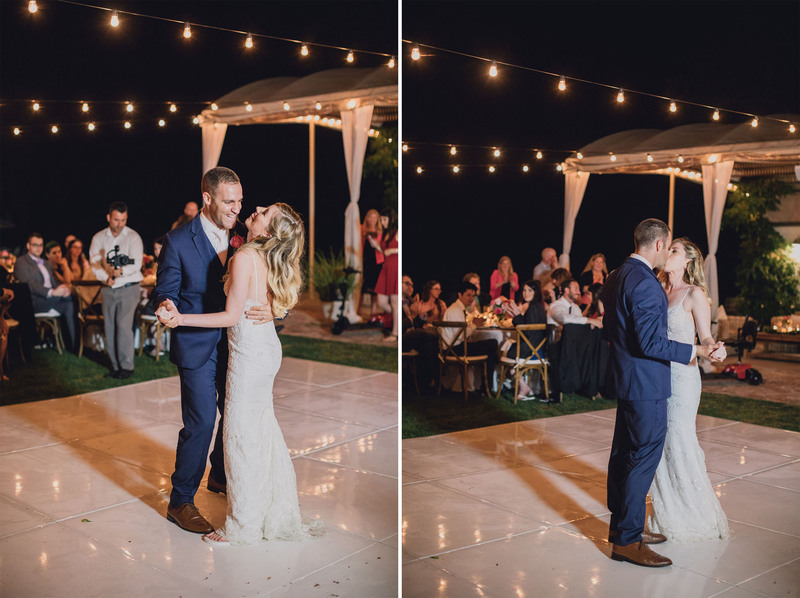 First Dance under the stars? 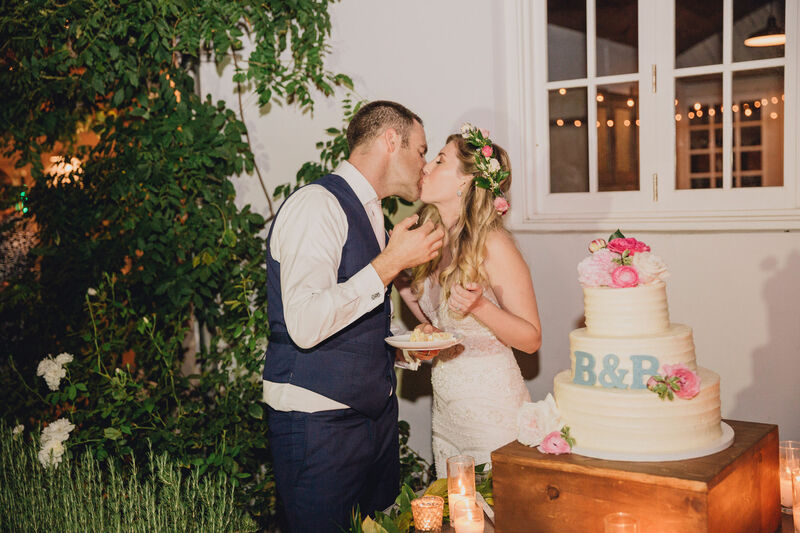 Well, Brandice and Brian can certainly check all those things off the list! 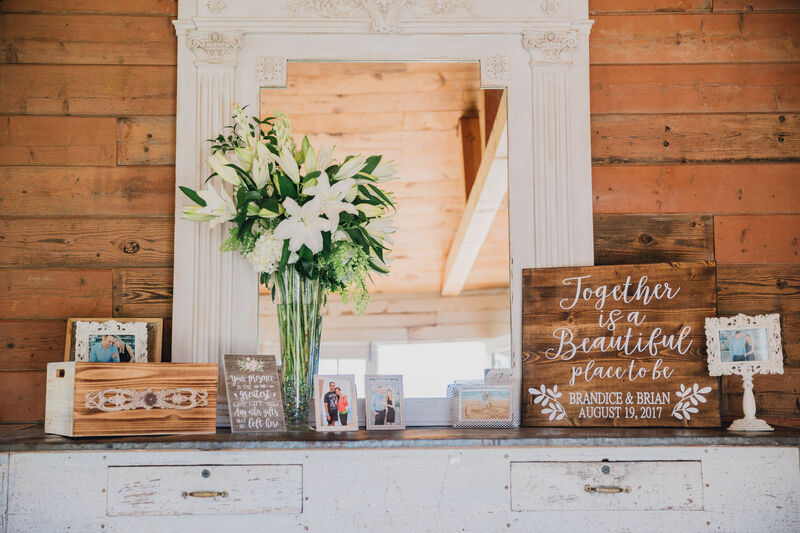 The newlyweds planned a Wedding Day not to be forgotten. 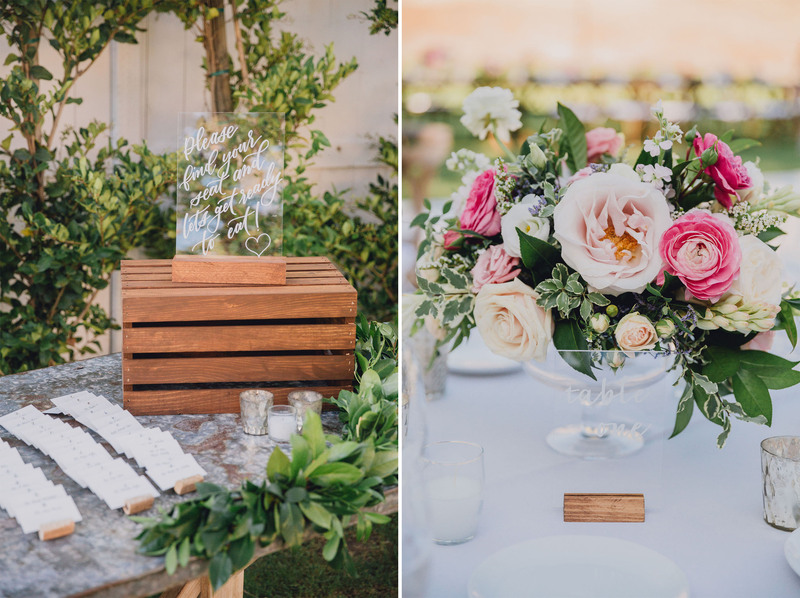 As a result, the wedding had a rustic chic vibe in a stunningly beautiful atmosphere at Triunfo Creek Vineyards in Agoura Hills, California. 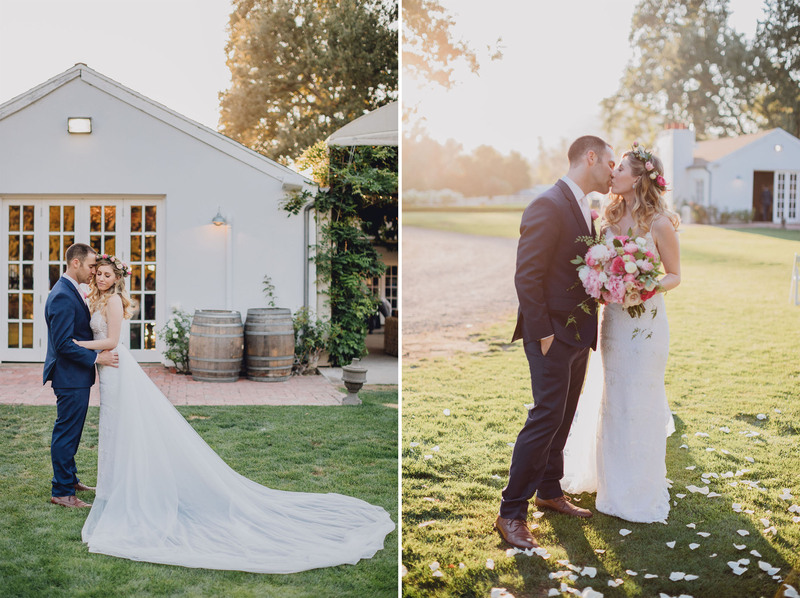 Triunfo Creek Vineyards, a private estate in California, was the perfect setting to start the first day of the rest of their lives together. 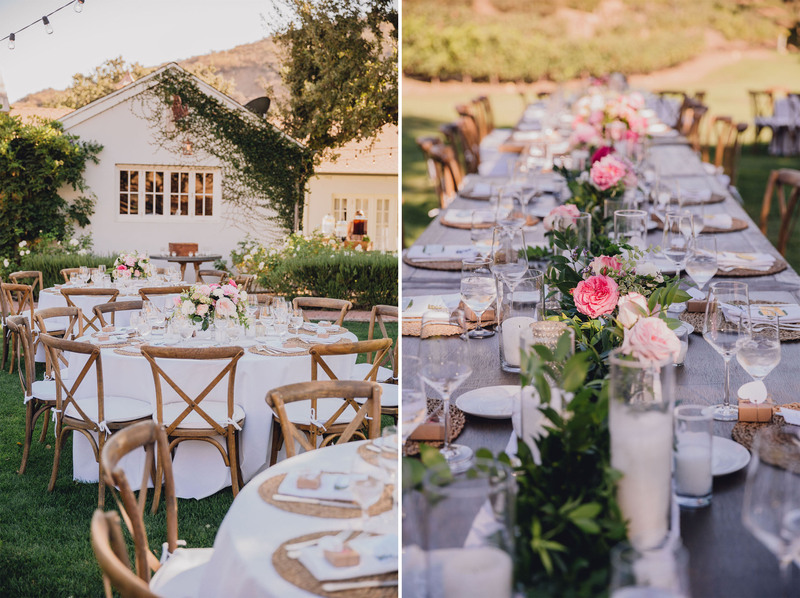 This elegant and charming estate in Malibu Valley with views of the Santa Monica mountains allows Brandice and Brian to capture the rustic vibe they were hoping for. 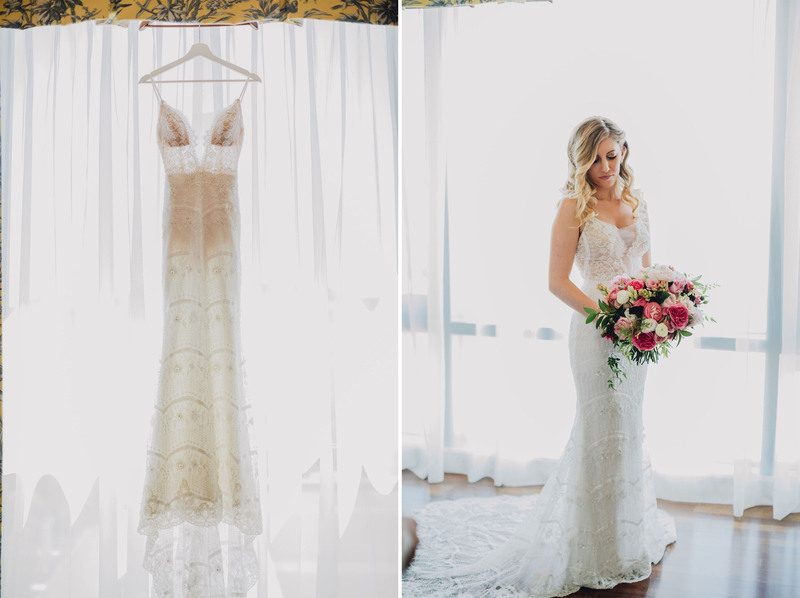 The bride chose a detailed lace bodice wedding gown with a V-neckline. Also, embellished with sequin shimmer and beading. 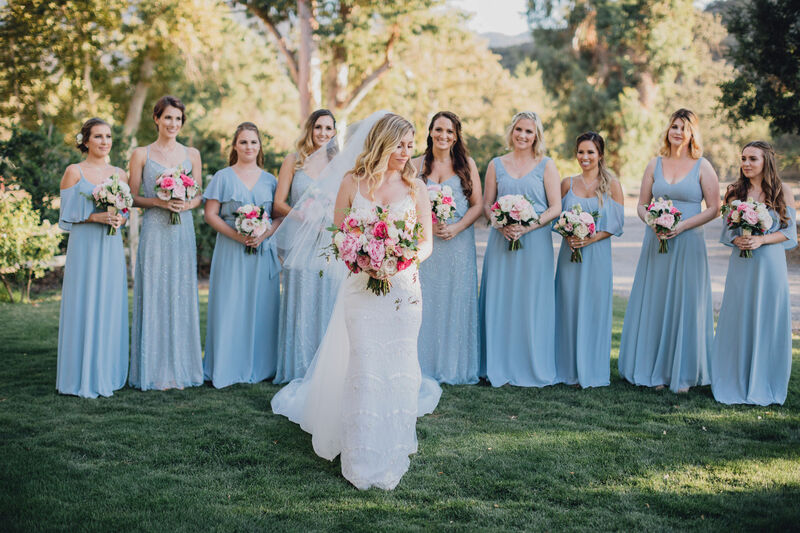 The bridesmaids stand by her side in shades of light blue, some decorated with sparkling beading. 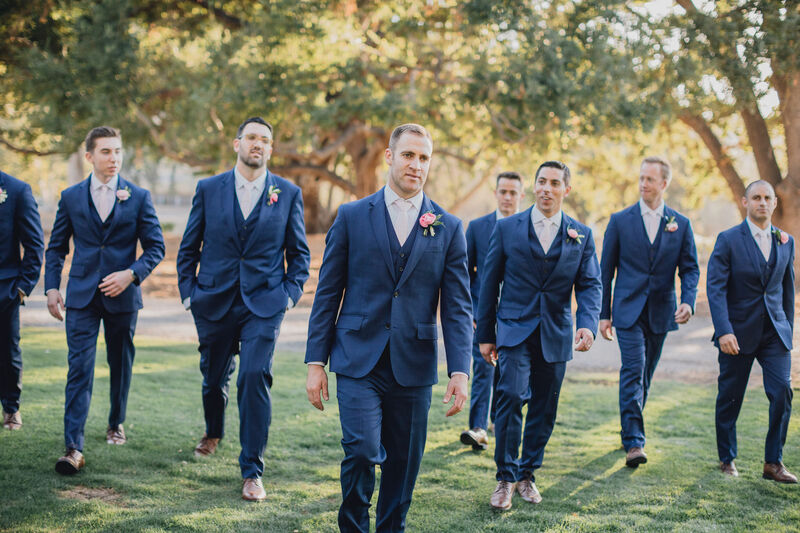 The groom matches his groomsmen in a deep navy blue suit. 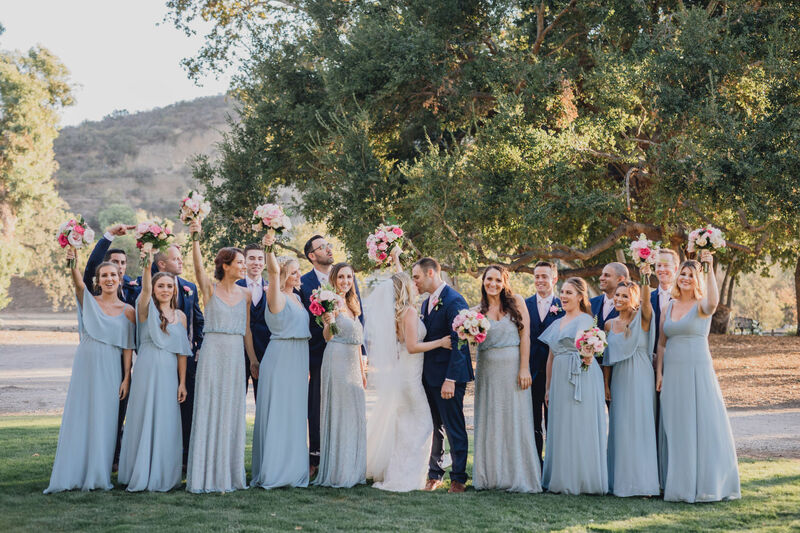 These color combinations worn by the bridal party help to bring together the delicate shades of pink florals and greenery. 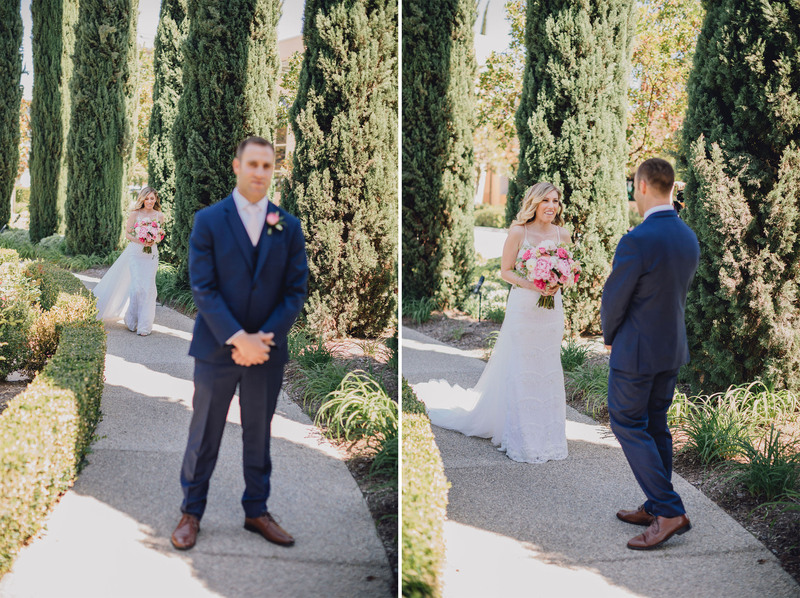 Brandice & Brian opt for a first look before the ceremony, which provides the opportunity to share an intimate moment before saying I Do! 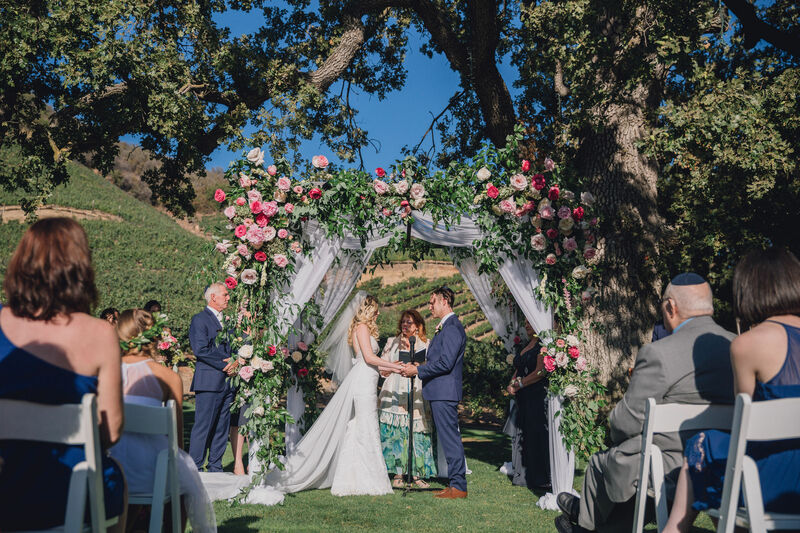 With not a cloud in the sky on August 19th, 2017, it was the perfect weather for an outdoor ceremony beneath the heritage oak tree at Triunfo Creek Vineyards. 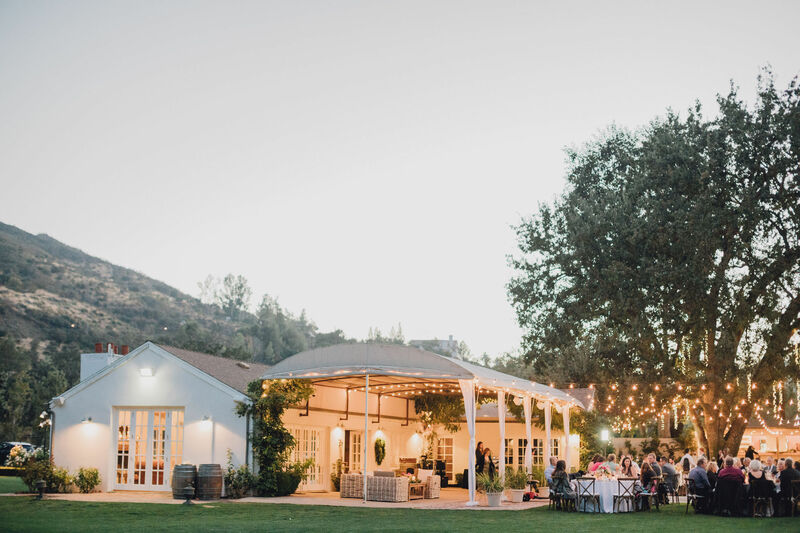 As guests walk into cocktail hour, delicious appetizers and refreshing cocktails await, as we wondered off with the bride and groom to take advantage of what this Southern California wedding venue has to offer. 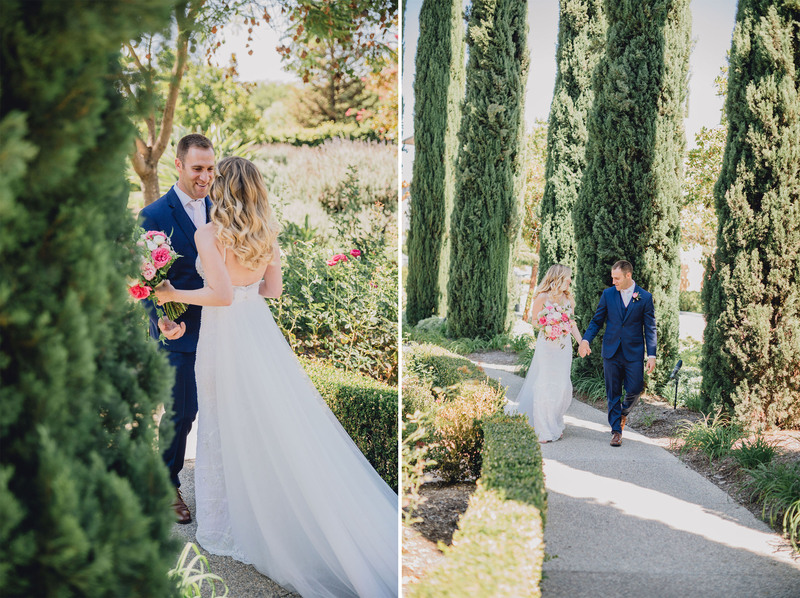 Red brick pathways that lead to gardens, vineyards that seem never ending and above all, views of the Santa Monica mountains. 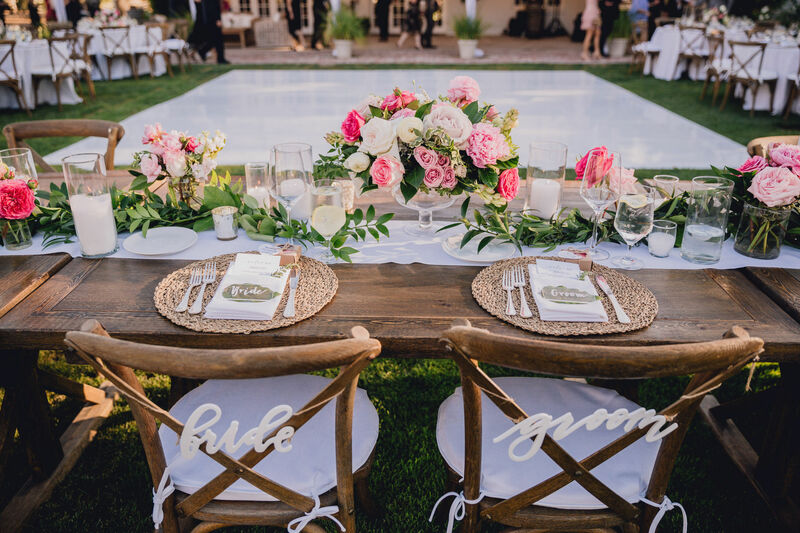 Harvest tables with pink peonies under the twinkle lights made for a beautiful setting. Meanwhile, guests were welcomed to their seats with wedding favors. Also, receiving a note from the bride and groom thanking them for celebrating their special day. 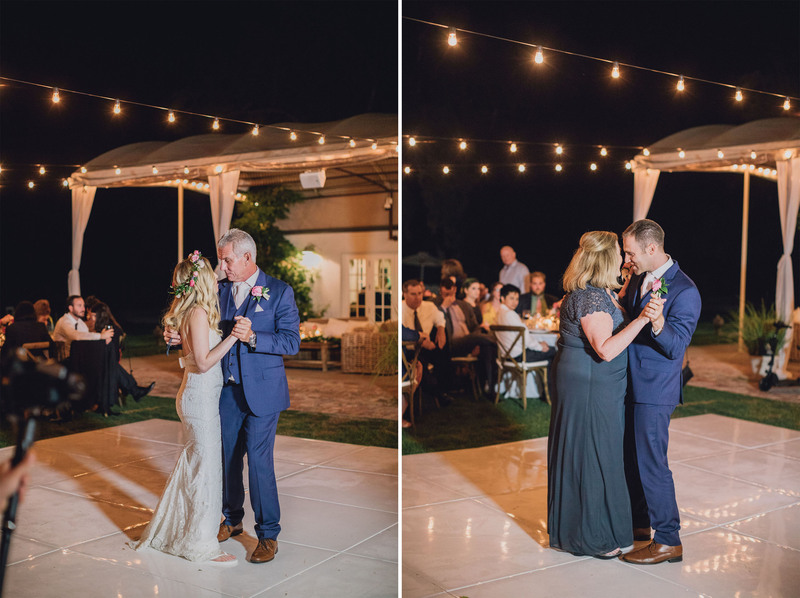 As night fell, the candles were lit, creating a romantic ambiance for the bride and groom’s first dance under the stars. 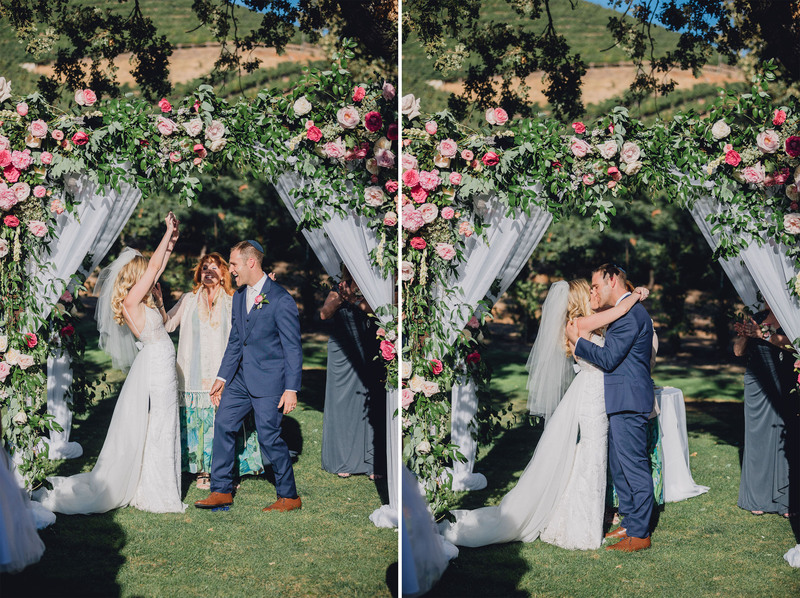 Finally, guests danced the night away with the newlyweds in celebration of the most enchanting Wedding Day they could have possibly imagined. 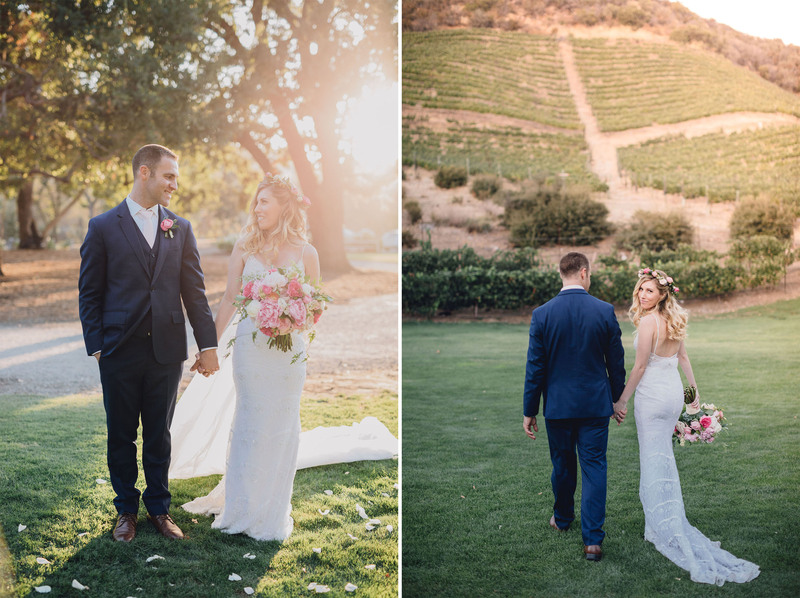 “Your Wedding Story Begins Here” – Triunfo Creek Vineyards. So, check out some photos from our gallery below and bring us along to capture your story….